The promos of the show indicate that there will be two episodes of the show with her. Manju will also be entertaining its hosts and audience as Sujatha, the character of the movie and also show case the very essence of the simple character. She will also be seen talking as Sujatha in Trivandrum dialect. As seen by the promos, Manju is having a lot of laugh-out-loud moments, comic stints and counters, along with the hosts and comedy artists. She is also seen along with hosts to trying to control her laughter. 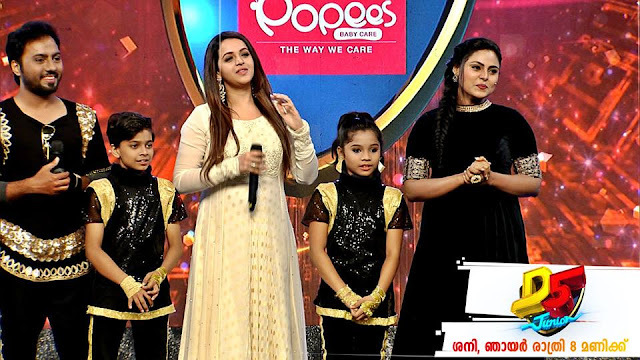 Aswathy and Suraj Venjaramoodu are the hosts of Comedy Super Nite3 on Flowers TV which was launched on 21 August 2017 . Udaharanam Sujatha is a malayalam film directed by debutant Phantom Praveen. The movie is produced by Martin Prakkat ad Joju George. This is the remake of the Tamil film Amma Kanakku, which itself is a remake of the Hindi film Nil Battey Sannata. Manju Warrier plays the role of Sujatha. Nedumudi Venu, Mamta Mohandas and Joju George are her co-stars in this movie. The film is expected to be released by the last week of September 2017. Associated with the promotion, Manju warrier will be seen in other Malayalam channels as well. The episodes of the show will be available in official Flowers TV's Official Youtube Channel following the telecast of the show. It will also be added to Homemazala , new Flowers TV mobile and web application.